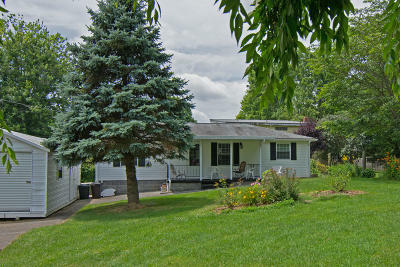 <b>193 Third St</b> Cozy, comfortable and conveniently located right in the heart of Fairlea on Third St. This charming home has a quaint, alley kitchen adorned with white cabinetry and appliances. Arched door ways and a large, level front yard impart more character to this home. It's modest size and one level living provides access and utility ease. Greenbrier Valley Medical Center, Kroger, Greenbrier East High School, Eastern Greenbrier Middle School, Greenbrier Valley Fitness and more are within a mile of this conveniently located home. If you are looking for convenience and ease this very well may be it!